When it comes to getting to and from games, sports teams, coaching staffs, and diehard fans all enjoy the services Florida Charter Bus Company provides. We’ve worked with amateur and professional sports teams in every corner of Florida, consistently providing spacious, comfortable buses and highly-personalized booking experiences. Regardless of the size of your team, you can rest assured that we’ve got a solution tailored directly to your needs. Take your mind off of transportation and focus on your game-plan. Call us today at 305-359-5975 to book a luxury bus for your team. Customers can request coaches with ample storage space for team equipment, training supplies, coaches gear, and tailgating essentials. Access the overhead bins and undercarriage compartments for larger items, and enjoy the convenience of added legroom so your team can ride in comfort. If you’re a fan or coach traveling to an away game, you’ll love knowing that you can enjoy a personalized shuttle service once you arrive at your destination. You’re not limited to the stadium or arena; take a tour of the town, visit your hotel, grab a bite to eat, or go shopping at your leisure, while your own personal driver takes you anywhere your heart desires. Your players deserve to be as rested and comfortable as possible as they prepare for the big game. 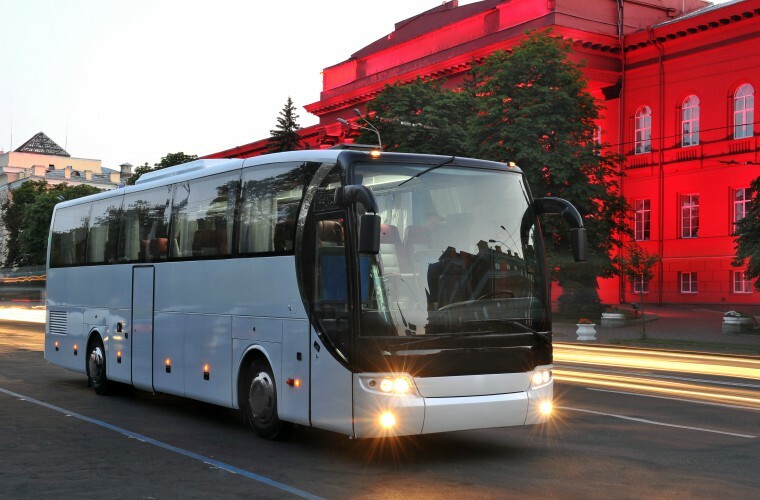 We’re dedicated to making sure they get the riding experience they deserve, and that means equipping select charter buses with cutting-edge amenities such as reclining seats and air conditioning, as well as on-board TVs, DVD players, restrooms, and WiFi for long trips. With ample storage space and legroom on all buses, even the tallest of athletes will find your bus to their liking. Buses aren't just for team transport! If you’re a fan desiring to watch your favorite team, you can reserve a coach that will take you wherever they’re playing. Load your friends and family onto a bus and travel to a game together. Store your tailgating equipment, food, beverages, and more right on the bus. When the game is over, you're be guaranteed safe transportation back home. With Florida Charter Bus Company, securing transportation to and from games is easier than ever. We have access to the safest, most secure solutions in the motorcoach industry. Our reservation specialists are available 24/7 to support you, so call us at 305-359-5975 to help plan all your transportation needs.